Foundation Burning Man NL has been granted the ANBI status. This means that donations made by companies or individuals to the foundation are tax deductible. In the name of Stichting Burning Man Netherlands, with mention of “Donation”. Facilitating and expanding the culture that occurs from the Burning Man event in Nevada USA on Dutch soil. Organizing art and culture events. Stimulating art and cultural awareness, community awareness, and cultural and social involvement. All functions are unpaid and voluntary. There are no people employed. With the establishment of the foundation a platform has been created to develop and support generally useful projects in the field of art and culture. The legal form of the foundation has the advantage that optimum legal certainty, good transparent business operations and a non-profit character can be guaranteed. In the last policy plan of the foundation we have described our objectives for the period 2014-2018. The whole plan can be seen below. The mission of Burning Man Netherlands (Burning Man NL) is to facilitate and extend the culture that has issued from the Burning Man event into a larger world. Burning Man Netherlands will bring experiences to people in grand, inspiring and joyful ways that lift the human spirit, address social problems and inspire a sense of culture, community and cultural engagement. Burning Man Netherlands supports cultivating programs and activities across multiple disciplines. 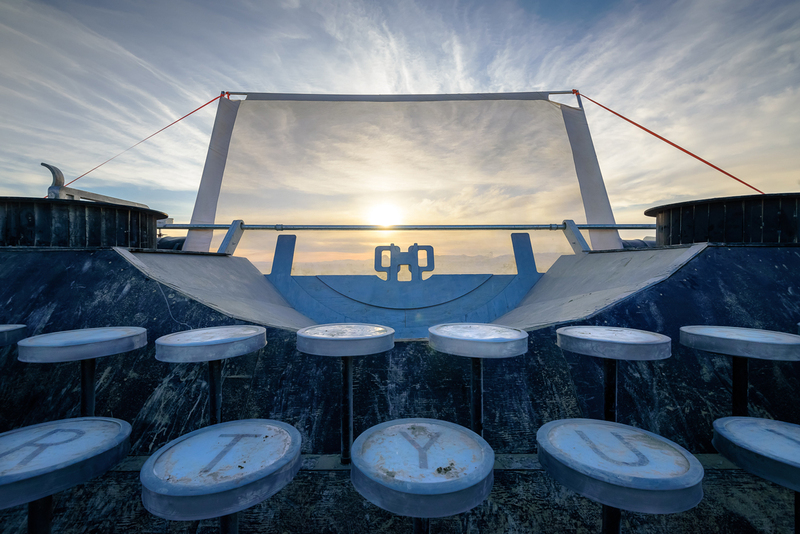 Burning Man NL provides infrastructural tools and frameworks to support our community in applying the ten Principles in four interconnected program areas: Arts, Culture, Civic Involvement and Education. These are four of the six program areas which were developed in 2011 by the six founders of Burning Man USA and their nonprofit and legal advisors, who were crafting the long-term vision for the new nonprofit which became the Burning Man Project. These are not distinct, independently operating programs. They are aspirational, and represent what they have been doing and what they intend to do. Each year they focus on certain areas more than others, but together they paint the bigger picture. They want you to know that they’re thinking big about Burning Man’s potential influence on the world (we often talk about Burning Man’s 100-year plan), and we invite you to think big, too. The Mission of the Arts Program of Burning Man Netherlands (BMNL) is to change the paradigm of art from a commodified object to an interactive, participatory, shared experience of creative expression. Activities in the art program may include facilitating creative self-expression by encouraging people to integrate art with daily personal and public life in ways that are interactive and collaborative, promoting social architecture, and providing opportunities for people to create and display mobile and wearable art (such as art cars, art bikes, and art clothing). BMNL will accomplish that through art grants, art exhibitions, art festivals, public art placement, directories and catalogues of art and artists who work in this genre, and by other means. Burning Man the Netherlands will collaborate with Burning Man (USA) in a mutually supportive manner. Burning Man the Netherlands Culture Centers Program will establish and operate urban and rural cultural centers and spaces that incubate and showcase collaborative and interactive arts, culture, and community participation. BMNL’s Cultural Centers may be permanent or temporary, physical or virtual. Activities that generate and preserve culture will include the establishing of a physical [ Freespace ], an Urban Cultural Center in the Netherlands that will provide collaborative gathering and gallery spaces, classrooms, workshops, a library, archives, sites for ritual and ceremony, shared office space for multiple community- based non-profit organizations, and eventually a café and Burning Man museum store. The Urban Cultural Centers will be using as a model the [ Freespace ] organization in San Fransisco. In the longer-term future, rural retreat centers, artist colonies, and camping sites may provide opportunities to generate interactive, collaborative community and culture in natural settings. This program will locate, evaluate, acquire, manage, operate, and maintain all Project facilities, sites, networks, and real estate, which will be developed and operated using innovative technologies and renewable energy. The Civic Engagement Program of Burning Man Netherlands will foster civic responsibility and volunteerism in pursuit of a civil society and to provide economic development and human services, using interactive and collaborative methods that are consistent with the Ten Principles. Activities in this program may include organizing community celebrations, parades, festivals, and other events through a network in urban and rural areas, and in the virtual world. In creating these events, BMNL will encourage broad participation and engagement with city, provincial and federal agencies to permit display of public art and to permit creative self-expression. BMNL events will offer the public opportunities to participate in -and experience a way of- life lived consistently with the Ten Principles and to collaborate in creating a values-based civic code. Urban Cultural Centers will aid development of cultural districts and bring life back to cities’ long-depressed urban zones, and will seek to provide important services and needed amenities in low- and moderate- income neighborhoods, contributing to neighborhood economic self- sufficiency. BMNL rural activities will contribute to economically blighted areas by means of art and civic engagement projects. BMNL will expand the nascent Digital Playa and virtual “Burn” events, allowing those without means or resources to participate in Ten Principles events. The Mission of the Educational Program of Burning Man Netherlands is to teach the philosophy, principles, and practice of Burning Man culture and experience in our region. Activities in this program may include BMNL providing classes, skills training sessions, workshops, lectures, conferences, seminars, coaching, mentoring, and certification programs via many educational modalities, such as in person, online, peer-to-peer, and through interactive, and experiential and service-learning programs. Topics will include the nearly infinite range of ways the Ten Principles apply to various fields of endeavor, from the philosophical to practical. Skills training may include how to: create interactive art, create flame effects, make costumes, recruit and retain volunteers, facilitate town meetings, engage effectively with government agencies, manage a project, raise funds, write art grants, set up a nonprofit, produce an event, or install monumental public art. BMNL may teach about collaborative communication, active listening, emergency management, dispute resolution, collaborative leadership, disaster preparedness and relief, and a myriad of other topics. 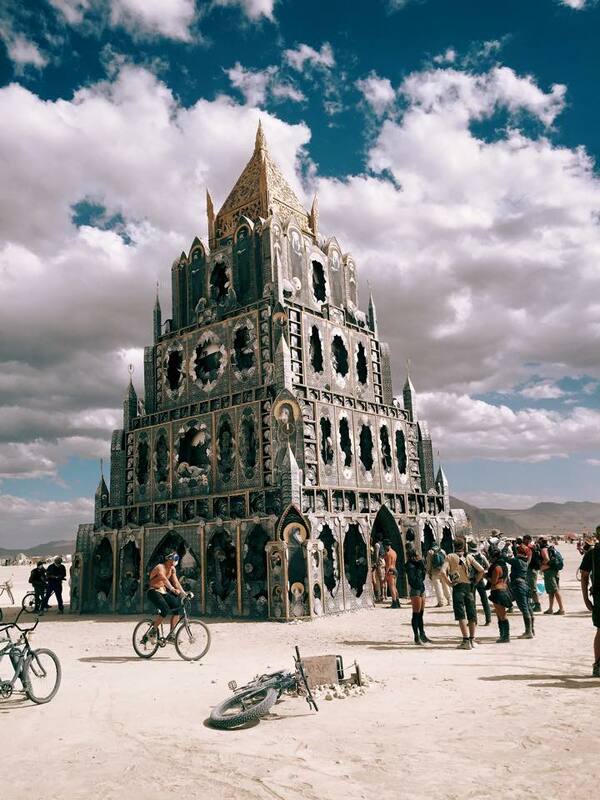 Staff, consultants, and volunteer teachers — professionals, experts, and knowledgeable people — will come from the Burning Man community and beyond, to educate the Burning Man community, in everything from impromptu sessions to formal classes. Burning Man exists solely because of contributions to and from our community. Whether these gifts are made manifest in funds, labor, artwork, or other forms, they are the fuel that powers our work in the world. As a culture we are devoted to acts of giving that are unconditional, and as individual contributors, we acknowledge that all such gifts are given freely, with no expectation of reciprocity or exchange. Each gives according to his or her nature and capabilities, and no one is entitled to special treatment as a result. No contributor, regardless of the magnitude of his or her gift or position, will receive preferential treatment or undue influence over the course of our actions in the world. Learn more about the Ten Principles of Burning Man. Burning Man Netherlands established the audit Committee to increase the organizations transparency. Ability to check all underlining details of BM-NL events and annual reports. Checking on own initiative or triggered by specific questions from anyone in the community. Report findings to Town Hall meeting, after consultation with the board. Double check accountant’s official finance reporting. Want to be used for personal “fights” or interest. We love for you to get in touch with us, with any questions you might have. These are most common ways to reach us. Or you can use this form. In a community as rich with leaders as ours, it may never be possible to recognize all the amazing people who have helped Burning Man Netherlands what it is, or to honor their individual contributions. From the founders to the first-time volunteer, the entire history of Burning Man is one of people stepping up and taking charge. This is equally true for the Burning Man Netherlands, whose leaders are playing an increasingly vital role in our ongoing story. The folks who work (volunteer) for Burning Man Netherlands.